Walter had to overcome setbacks in his life. His parents died when he was still a child and he was brought up in a children’s home.He still had a family, but he had to make his own way in the world. He had to give up a football career to become a soldier. Walter became one of the first black footballers in Britain. He was only the second professional black player in the Football League. He played football for Tottenham Hotspur and Northampton Town. At that time Army rules were that only a white, British-born person could be an officer in the Army. In Walter’s case, however, the rules were ignored. In May 1917 Walter Tull was ‘commissioned’ as an officer, with the rank of lieutenant. Walter was sent to Italy and was soon in more fierce fighting. He was praised by his leader, the ‘commanding officer’, for leading soldiers across a river during a battle. He was recommended for a bravery medal, but never received it. Walter Tull was the first black officer to lead white British soldiers in battle. BBC Sport has reported on Walter Tull on several occasions as he was one of English football’s first black players. Tull was an orphan who had to overcome adversity all of his life, including being racially abused while a pioneering forward for Tottenham Hotspur and Northampton Town. www.bbc.co.uk/sport/football/4350444 The incredible story of Walter Tull, a football pioneer and war hero who died on the battlefields of World War One. 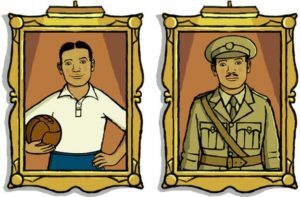 www.bbc.co.uk/programmes/p06239z Walter Tull was one of Britain’s first black footballers and first black army officer. 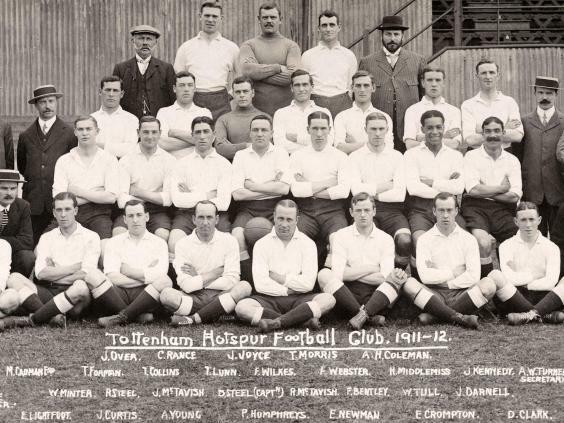 www.bbc.co.uk/sport/football/43504286 Walter Tull – one of England’s first black professional footballers – should be awarded a Military Cross, says Tottenham MP David Lammy. www.bbc.co.uk/sport/football/43520377 B BC Sport remembers Walter Tull, the Tottenham and Northampton footballer who made the ultimate sacrifice during World War One. The story of Walter Tull, the first black officer to lead British troops into battle. 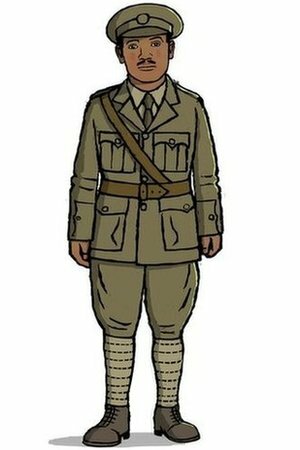 www.bbc.co.uk/schools/0/ww1/31876320 An animation showing the life of Walter Tull during World War One. www.bbc.co.uk › Factual › Arts, Culture & the Media Former Cobblers captain, Clarke Carlisle follows the extraordinary story of Walter Tull.